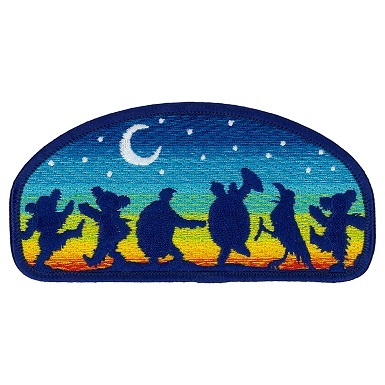 Classic Grateful Dead critters consisting of dancing bears and terrapins under the moonlight on this embroidered patch. It can be ironed on or sewn on and measures approximately 4 1/2" x 2 1/2". Officially licensed Grateful Dead merchandise.